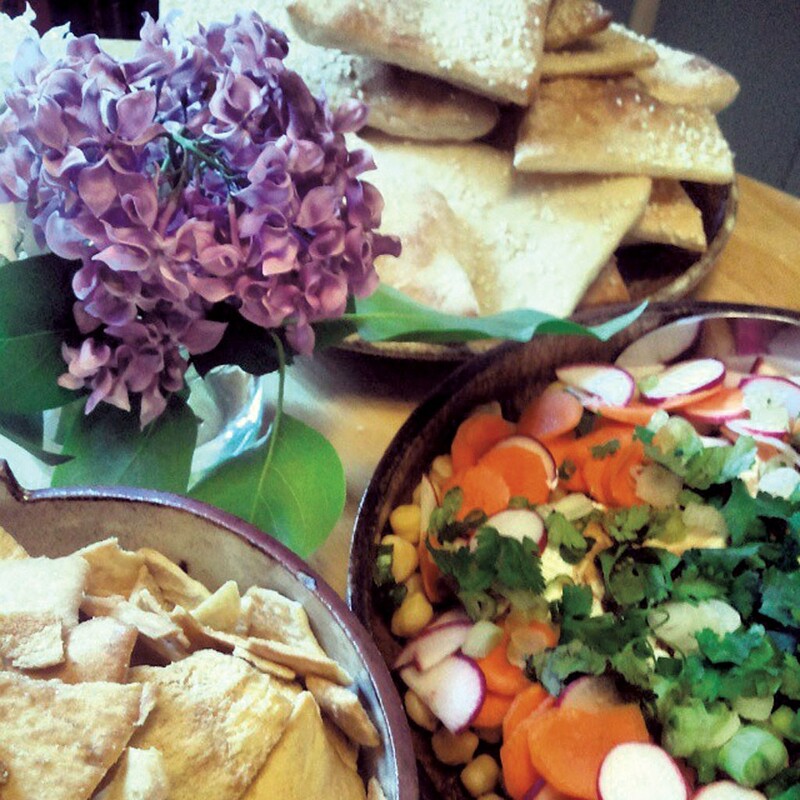 In late 2011, Helen Labun Jordan began hosting Thursday-night potlucks in her Montpelier home. By fall 2012, the weekly soirées had grown to dinner-party status, and Jordan started cooking multi-dish meals to theme and calling her events Hel's Kitchen. Now the pop-up is going pro. On August 3, Jordan will move into the kitchen at Salt café at 207 Barre Street in Montpelier. She plans to serve themed, home-style meals for takeout Monday through Wednesday. On Thursdays, she'll offer a single in-house meal for 15 guests with a 7 p.m. seating. On Fridays and Saturdays, Salt proprietor Suzanne Podhaizer will offer her take on Jordan's weekly theme in tasting-menu format. "[Podhaizer] will choose the dishes that are best suited to her type of service," Jordan says, "and I'll choose ones that are good to take home and reheat." Like all meals at Salt, Hel's Kitchen will be BYOB. Jordan, who coordinates the events at nearby Bear Pond Books, says she hopes to get creative with her themes and bring diversity to the capital city's take-out scene. "You'll be able to sample dishes from all over the world," she says. "We'll do food from different regions, different cities of the world — something whimsical." Priced at about $8 per entrée, $2.50 per side and $2 per dessert, the food will be creative but not fancy. "This will be a restaurant with an emphasis on home-cooked style," Jordan says. "We'll have cookies, not French-pastry-chef-plated desserts. It's really meant to replace home cooking." Jordan will post the day's menu online in the morning, and patrons can order via web or stop by on their way home from work. Jordan says she hopes to help fill the enduring gap left by a popular restaurant that closed nine years ago in Salt's current space. Locals "are still complaining that Susan's Kitchen is not here," she attests. "Many nights I wish it was still there so I could have a nice, home-cooked, interesting dinner. I decided to stop complaining and do something about it." The original print version of this article was headlined "Weekday Salt"